Ninety-five percent of the Fortune 1000 companies, and millions of businesses in the SME segment, use Active Directory as the base of their network infrastructure. Ensuring Active Directory security whilst staying compliant to ever evolving regulatory guidelines is starting to become a challenge for many organizations. Thankfully, it doesn’t have to be. In this article, I hope to show you why you need LepideAuditor – a scalable and affordable IT auditing solution. 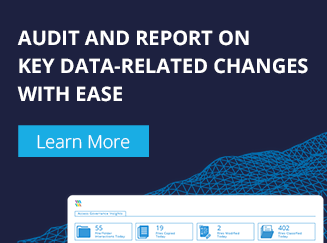 Trying to keep track of changes across multiple, business-critical platforms is a nightmare without a solution like LepideAuditor. LepideAuditor offers a single console, from which you can see a complete overview of configuration changes (as they happen) across your IT Infrastructure. Get a better handle on your Active Directory, Group Policy Objects, Exchange Server, SharePoint, SQL Server, Exchange Online (Office 365), Windows File Server, and NetApp Filer environments. Modification reports for detailed Active Directory change auditing. Security reports for keeping track of important security related changes. Object State reports to that easily show you the state of the objects at any particular time. Our solution also has modification and state reports for Group Policies. These reports make auditing manageable and easy to execute. Even better, you are free to create customized reports based on any Active Directory, Group Policy or File Server Modification Report to focus on a specific object or operation important to your business. Getting the right information at the right time can help you prevent potentially disastrous data leak incidents. Unfortunately, native auditing does not allow you to do this. To stay up to date with changes in your Active Directory, for example, our audit solution comes with a mobile app that delivers alerts to your mobile device. We also have a LiveFeed that displays all critical changes to IT systems as they are happening. The major IT compliances that organizations adhere to are SOX, FISMA, HIPAA, GLBA, and GDPR (coming soon). LepideAuditor offers built in reports to help you meet these compliances. Reports are available in a uniform layout that can be exported and kept as records. All audit questions related to Active Directory compliance reporting; such as the “Who, What, When, and Where” questions can be answered using the data provided in these reports. For security and compliance reasons, you need to know who has what level of permission over which files and folders. Trying to find out which permissions exist on all files and folders…for all users…on all file servers…can be impossibly tedious and time consuming. Our Active Directory change auditing solution, however, gives you a single report which details the permissions on a file server. You can use it to compare permissions and see how a permission on a file/folder is calculated by the system. Usually, in the absence of a third-party auditing solution, security logs are scattered around the network across multiple server components. Investigating an event and trying to get meaning from this data can be difficult. Log safety is another concern with dispersed logs. Our solution ensures that all useful audit logs, that are worth storing and protecting, are securely stored at one place and are available for reporting. LepideAuditor gives you more control over Active Directory and Group Policy Objects. If you detect an unwanted change in Active Directory, you can instantly roll it back. You can roll back changes from the report itself by right-clicking on any record. 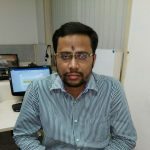 LepideAuditor can even restore deleted objects that are not present in the tombstone state, logically deleted state or Active Directory Recycle Bin. You can schedule back-ups to be regularly taken of Active Directory and Group Policies and generate state reports of the past. LepideAuditor can help you protect object permissions, commonly referred to as privileges. LepideAuditor lets you track all permission changes to identify any new privileged users. That’s all well and good, but what’s the point of detecting privilege abuse if you can’t respond? With our auditing solution, you can react to privilege abuse by quickly rolling back unwanted changes in the permissions of Active Directory objects (including user accounts). You can also revert all modifications made to Active Directory objects. If you keep a close watch on those with access to sensitive data and systems, they are less likely to become a threat. LepideAuditor can track user activities and monitor configuration changes to help prevent insider threats. You can see patterns of changes that can lead to such scenarios; including permission changes, log on/log off events, file and folder level activities, inactive accounts and more. You can also apply real-time or threshold based alerts to get instant notification of these changes. Whenever an event occurs, you can choose to execute a predefined script. This script (VB Script, PowerShell or BAT) can be used to shut down the computer, log off the user, send a network alert or simply tweet. The blending of our GUI interface with automatic scripting allows LepideAuditor to become more than it simple auditing solution. It allows you to take action when you detect changes that you don’t like.